We visited the Huacas del Sol y de la Luna while we were in Trujillo last week. 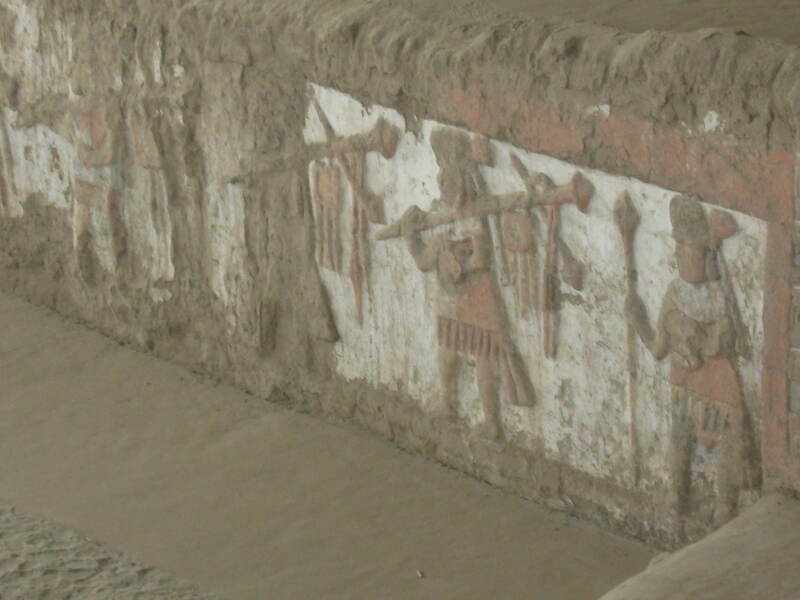 The Huacas del Sol y de la Luna are an archeological complex of the Moche, a pre-Inca civilization in Northern Peru. The complex consists of 2 temples, which resemble the Mexican Pyramids of the Sun and the Moon in Teotihuacan. 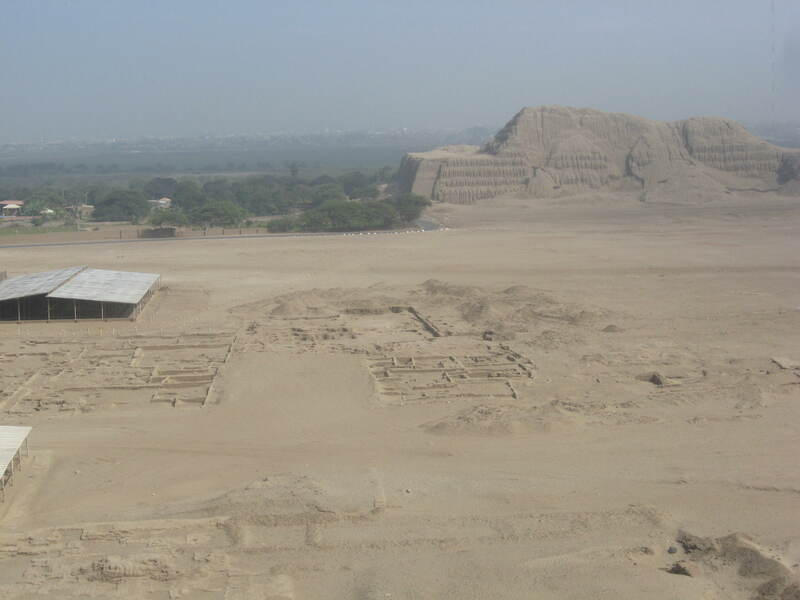 Significant archeological research has only been done at the complex since the early 1990s, the larger of the 2 pyramids, Huaca del Sol, has not been excavated so far. 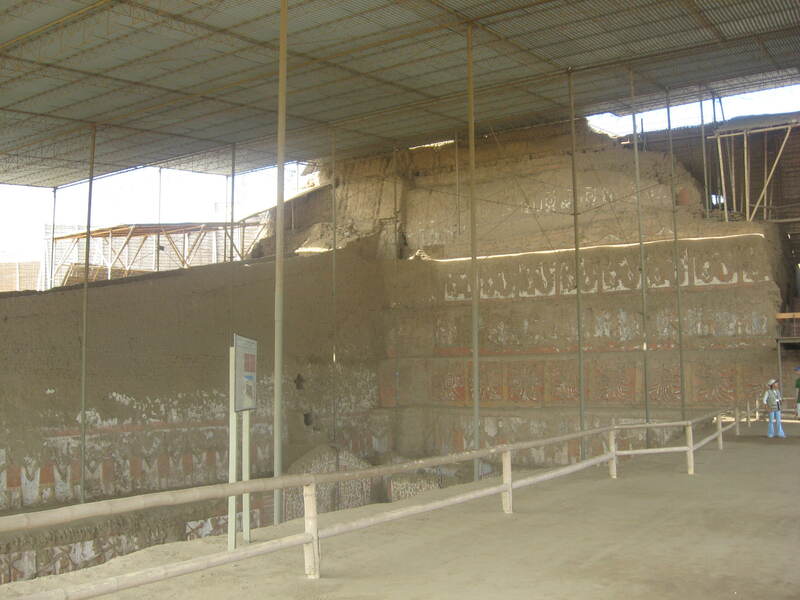 The Huaca de la Luna is the only one open to the public at this time. Unlike the archeological sites near Cusco, the Huacas del Sol y de la Luna are adorned with colorful paintings, typical of the Moche culture. Each of these paintings is about 1.7 meter (nearly 6 feet) tall. 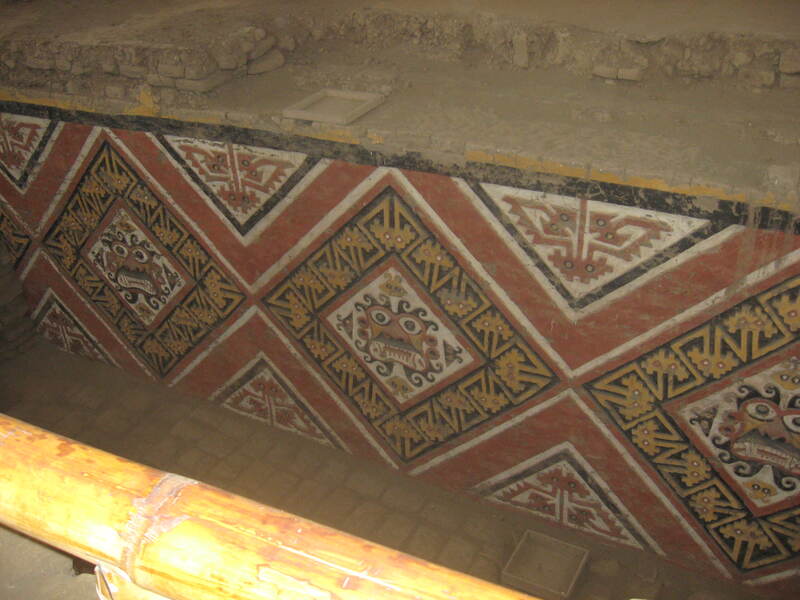 The typical Moche paintings are found both on the interior walls and on the exterior of the temples. The Huaca de la Luna consists of 5 separate buildings, built over the top of each other to form the pyramid-like structure. 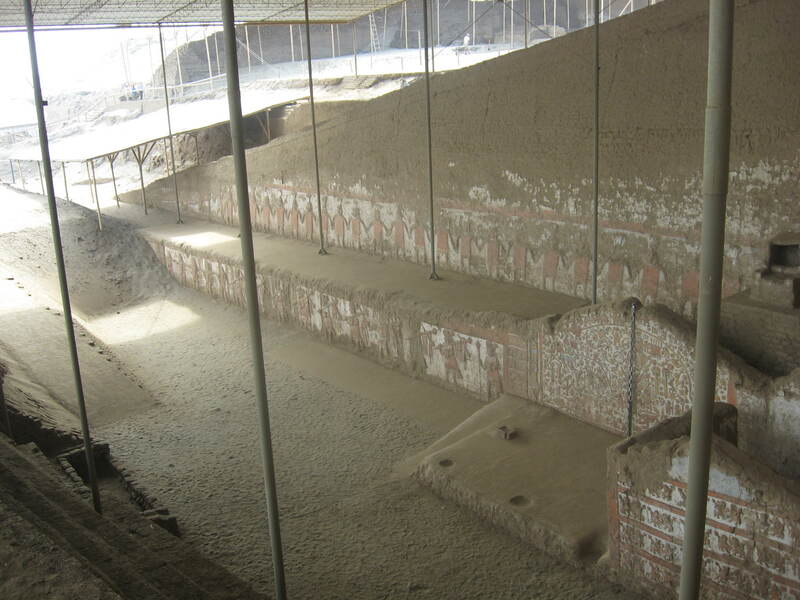 The Huaca del Sol is estimated to consist of 11 buildings. It is believed with each new generation of priests or rulers the old temple was covered with clay brick (adobe) and a new temple was constructed on top of the former temple. Note that on the exterior walls, the paintings don’t correspond with the levels of the building on the inside. 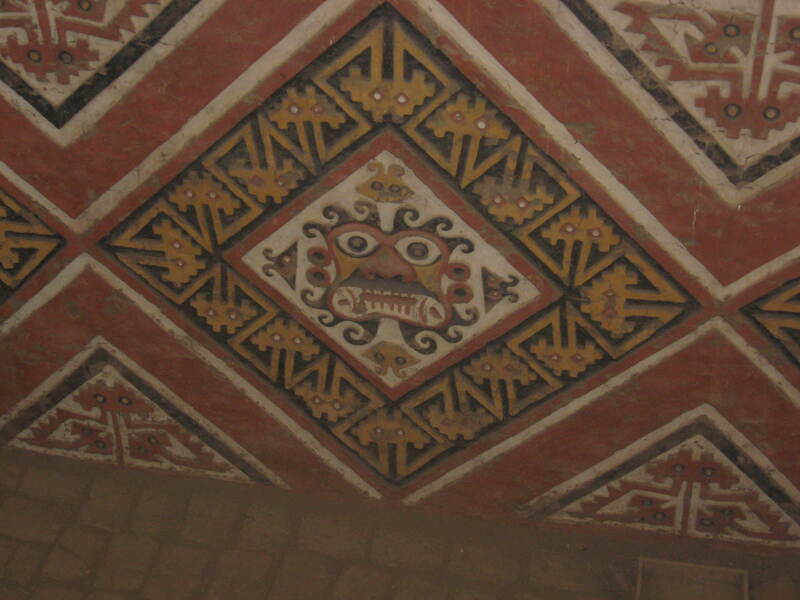 This entry was tagged Huacas del Sol y de la Luna, Moche, Moche paintings, Peru, Trujillo. Bookmark the permalink.